In the Nutcracker Suite, the Nutcracker turns into a prince and escorts Clara to the Land of Sweets. They are promptly greeted by the Sugar Plum Fairy. After she learns about their daring battle with the Mouse King and his mice, the Sugar Plum Fairy rewards Clara and the Prince with a celebration of dances. 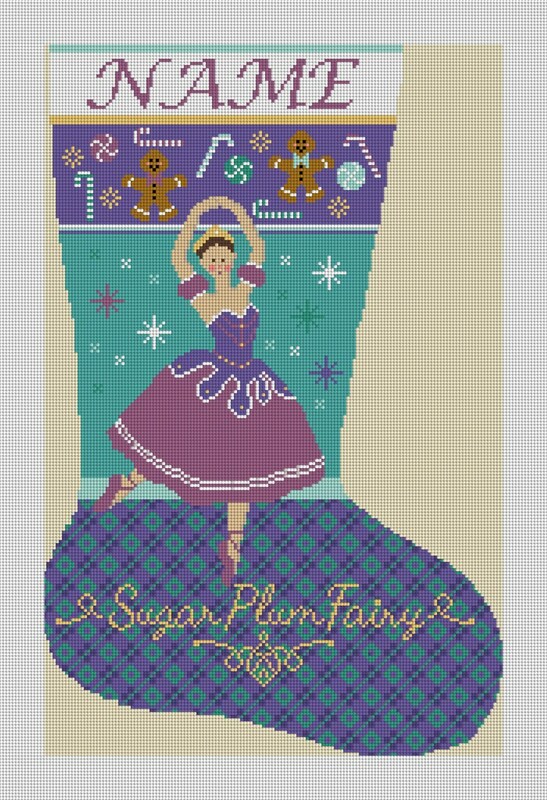 We've designed our Sugar Plum Fairy needlepoint stocking canvas so you can stitch the magic and beauty, which are conveyed in the Nutcracker Suite. This stocking will sure to become a part of your holiday traditions.